The last call for any rainfall comes today. A strong ridge of high pressure will then result in the hottest air so far this year gripping the Gulf Coast through early next week. Expect heat related alerts from the National Weather Service. 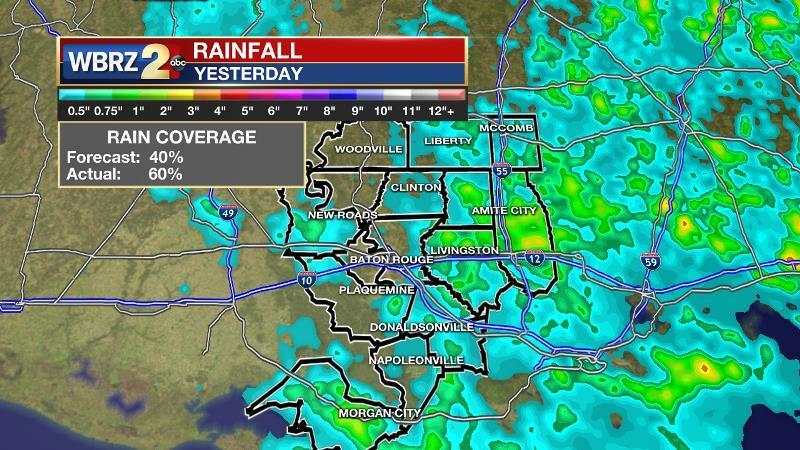 On Wednesday, 60 percent of the 13 Parish, 3 County forecast area received rain. This was just a little more than forecast. Much of the action occurred during the afternoon with the heaviest amounts falling in St. Helena and Livingston Parishes. Today and Tonight: Although bleak, Thursday will be the final day with any appreciable rain chances. Partly sunny skies will allow high temperatures to reach the low to mid 90s. High humidity will result in feels-like temperatures over 100 degrees for several hours during the afternoon. An isolated shower or thunderstorm is possible, but very few locations will receive rainfall. Another muggy night is expected with lows barely falling below 80 degrees. Up Next: Rain chances should be non-existent Friday through the weekend allowing thermometers to bubble back up in a big way. Some of the hottest air of the season is expected Friday through Monday. Thanks to very high dew point temperatures, (humidity) feels-like temperatures will be between 105 and 110 degrees. Nighttime lows will struggle to leave the 80s. Such conditions are quite dangerous and outdoor activity should be limited and include plenty of hydration for people and pets. Look before you lock; check the back seat of vehicles for kids and pets and remember that Fido’s paws would prefer a morning or evening walk instead of the afternoon! With oppressive afternoon heat, and little cooling expected at night, be sure to check up on those without access to air conditioning. A 500mb ridge will continue to gain ground eastward across the central Gulf Coast over the next several days. Convection will significantly decrease on Thursday before rain chances go to almost nil on Friday. As more hours are spent beneath sunny skies, surface temperatures will warm into the mid to upper 90s and stay there for many hours. High summer dew point temperatures will have a twofold effect; the first of which is afternoon feels like temperatures approaching 110 degrees and the second of which is nighttime lows struggling to leave the 80s. 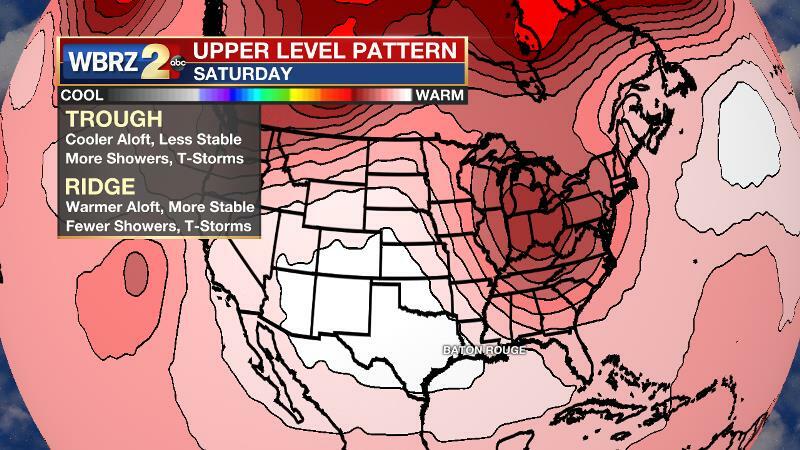 The core of the upper level high pressure will park over eastern Texas by Sunday leading to considerable subsidence and compressional warming. Air temperatures could flirt with 100 degrees in some locations. The hot pattern will continue into early next week. The earliest sign on the ridge breaking down indicated by global forecast models is Tuesday or Wednesday of next week. 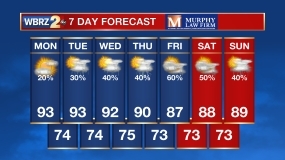 The National Weather Service says standby for the possibility of heat advisories or warnings.